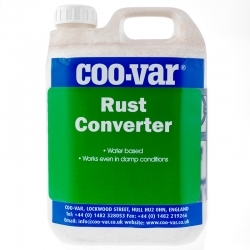 Coo-Var Rust Converter will protect surfaces from further corrosion by allowing the application of topcoats onto substrates where rust cannot be fully removed. 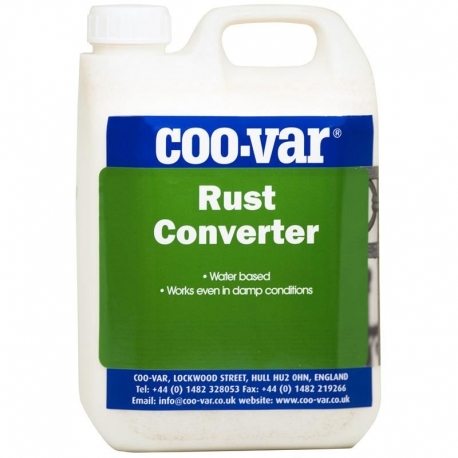 Coo-Var Rust Converter is a water based coating for use on iron and steel surfaces where all the rust cannot be fully removed. 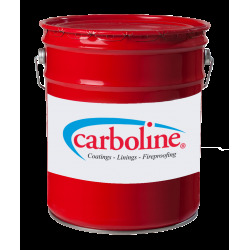 This product will turn any rust on the substrate into a stable surface allowing the user to then be able to coat the substrate without the risk of any further corrosion. 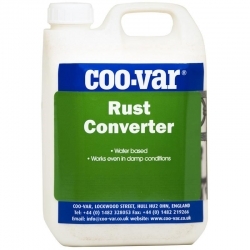 Please note: Coo-Var Rust Converter is supplied ready to use. Stir or shake lightly before use. DO NOT THIN. 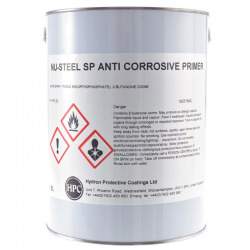 Nu-Steel SP Anti Corrosive Primer/Undercoat is a high performance phosphate primer that is perfect for external metal structures that are exposed to the elements. Advantages High performance primer and undercoat. First class adhesion. 8-10m²/Litre average. 12-month shelf life. 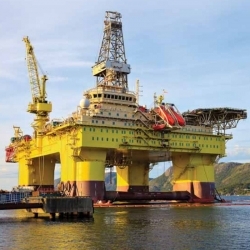 International Intergard 214 is a two component epoxy sealer coat pigmented with aluminium flake for the effective penetration and sealing of thermally sprayed aluminium coatings to eliminate porosity. Has specification approval for UK Department of Transport Item No.159. 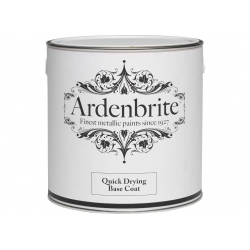 A quick drying water based primer/adhesion promoter for use in conjunction with the Ardenbrite Metallic finishes. 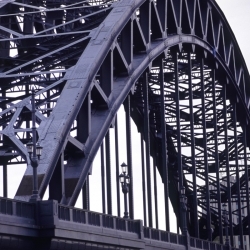 A modified epoxy adhesion and stabilising primer, specifically formulated for adhesion to stainless steel, carbon steel, galvanising, aluminium, copper and brass. 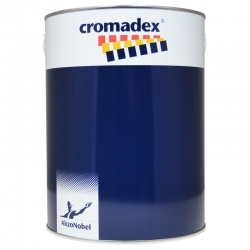 Cromadex 215 Quick Drying Primer is a modified alkyd one pack primer containing zinc phosphate giving added corrosion resistance for greater durability. It is quick drying helping to improve productivity. The product is high build helping to cover the surface profile. International Intercure 420 is a two component, high solids, low VOC epoxy micaceous iron oxide coating formulated on proprietary polymer technology which provides rapid cure and overcoating even under low temperature conditions. 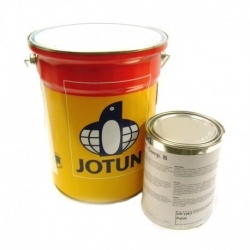 Jotun Penguard Special B10 is a two component polyamide cured high molecular weight epoxy coating that contains 65% zinc phosphate pigments by weight. Specially designed as a primer for galvanised steel it can be used as a primer as part of a complete system in atmospheric environments. 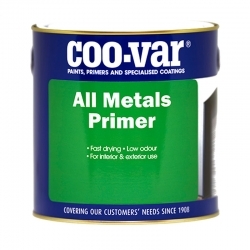 A water based, environmentally friendly, rust preventing general purpose primer for most metals including iron, steel, aluminium, brass, copper and more. 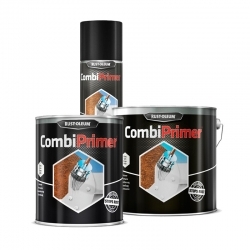 Rust-Oleum 3369/3380 CombiPrimer Anti-Corrosion is a high quality anti-rust primer for Rust-Oleum CombiColor. The Anti-Corrosion Primer will ensure an even longer anti-rust protection on new or rusted steel surfaces and provides and enhances protection against corrosion. Sherwin-Williams Zinc Clad J984BS (formerly known as Epigrip J984BS) is a 2-pack epoxy zinc rich anti-corrosive protection primer for steel surfaces prepared by abrasive blast cleaning. 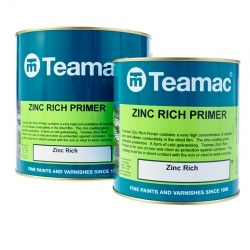 It may also be used as a repair primer for galvanised surfaces. 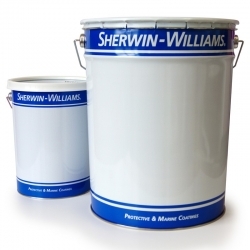 Sherwin-Williams Macropoxy K267 (formerly known as Epigrip K267/Transgard TG121) is a two-pack, pigmented with micaceous iron oxide, designed as an intermediate coat in conjuction with Macropoxy high performance primers.